We are so glad you are joining the Good Tech Fest Community! This is the place to connect with attendees, speakers, and stay up to date as sessions are added. Entrepreneur, author and TEDx speaker Denise W. Barreto is a leading 21st Century voice on leadership and storytelling. With over 20 years of marketing experience across multiple industries, Denise is the founder and managing partner of Relationships Matter Now, LLC, a strategic business consultant firm based outside Chicago. Denise and her firm serves businesses of all sizes, non- profit and government agencies who want to better leverage their relationships to grow their bottom line through strategic planning, organizational and leader development and inclusive leadership strategy. A top rated faculty member at the Forum on Workplace Inclusion and other conferences nationwide, Denise is striving to make government relevant again by positively impacting local policy in government agencies throughout the Midwest and beyond. In addition to her business, she is committed to serving her community. She was elected twice to Board of Trustees for the Village of Lake in the Hills, IL and is serving an appointment to the Illinois Business Enterprise Program Council by former Illinois Governor Pat Quinn. 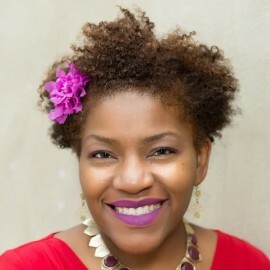 She also serves on the City of Evanston’s Parks and Recreation board and on the Best and Brightest Companies To Work For - Chicago Chapter board. When not working, you will find her trekking through local, state and national parks or poolside at a resort or on a cruise with her two children, Emma and Evan.